Done with digital oil colors on Corel. 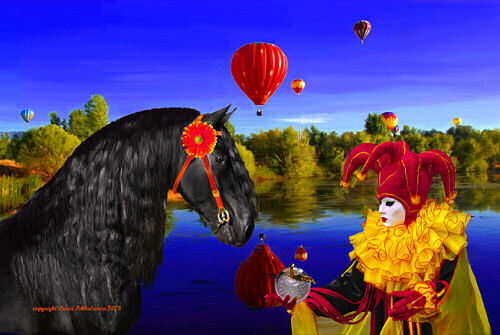 A beautiful Friesian horse, a jester with a glass apple and hot air balloons - a scene from circus or from a fairy tale? A timeless piece of fantasy art, digital oil painting (with Corel).